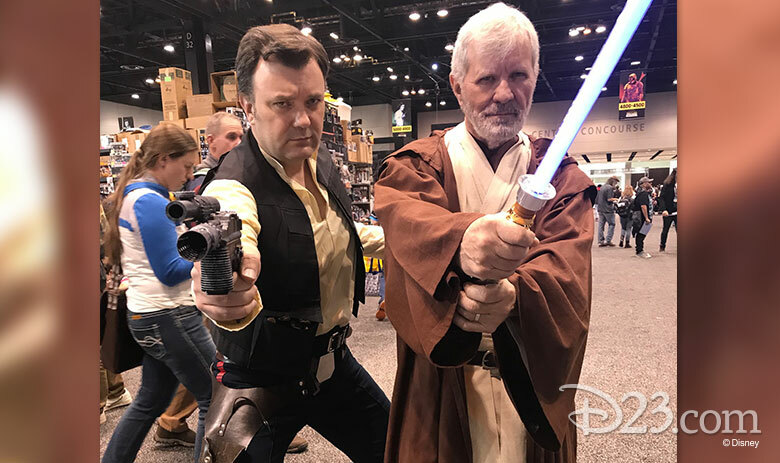 D23 is on the ground at Star Wars Celebration 2019 at McCormick Place Convention Center in Chicago all weekend, capturing the out-of-this world announcements, presentations, exhibits, and excitement. 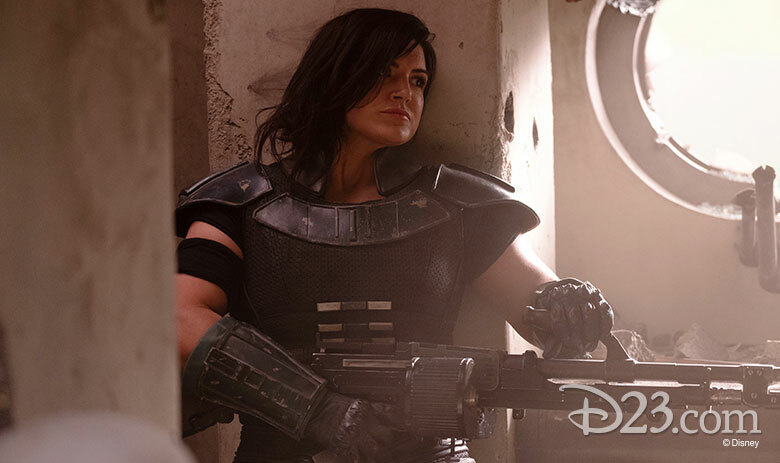 Whether it’s a preview of The Mandalorian (Jon Favreau’s ambitious new Star Wars live-action series planned for Disney+) our favorite outlandish costumes and cosplay, an insider’s look at the soon-to-open Star Wars: Galaxy’s Edge, or the brand-new teaser trailer for Episode IX, we’ll bring you all the excitement and energy from the weekend. Be sure to follow us on our social channels for the latest updates—and a few special guests to boot! Click here to jump down to Friday’s update. Click here to jump down to Saturday’s update. This has been a morning of surprises—the first of which is the blizzard that socked it to Chicago today, dumping sloppy, slushy snow all over the Sunday of Star Wars Celebration 2019. This might be old hat for Chicagoans (hearty folks! ), but for the rest of us, sludging through the near white-out conditions in tennis shoes and Star Wars T-shirts brings back images of Hoth, tauntauns, and a certain “and I thought they smelled bad on the outside” quote from Han. But the weather couldn’t cool the heated, almost electric, atmosphere inside the Celebration Stage arena for The Mandalorian panel. Lucasfilm president Kathleen Kennedy, series creator and show-runner Jon Favreau (director of Iron Man, Disney’s Jungle Book), and longtime Lucasfilm TV creator Dave Filoni (Rebels and The Clone Wars) were greeted like the rock stars they are—the excitement level in the arena nearly eclipsed what we experienced in the Episode IX panel. They were joined onstage by series stars Pedro Pascal, Gina Carano, and Carl Weathers. 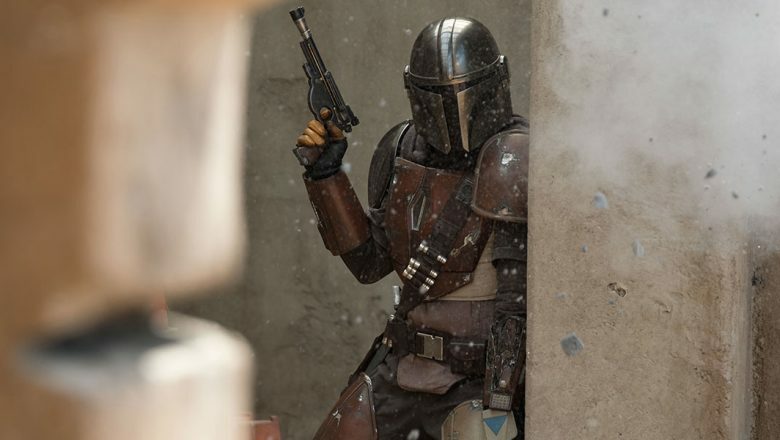 Series star Pascal agreed, saying, “The Mandalorian is a mysterious, lone gunfighter in the outer reaches of the galaxy. Some might say he has questionable moral character, in line with some of our best Westerns and some good samurai [movies].” Pascal went on to say he tried to put a lot of Clint Eastwood into the character, harking back to the Sergio Leone spaghetti westerns. Favreau and Filoni first met each other at Skywalker Ranch while both men were working on projects—Favreau was finishing Marvel Studios’ Iron Man, and Filoni was on The Clone Wars, Season 1. Each of them showed the other the very first screening of their projects, and an instant bond was formed. Favreau even voiced a character—Pre Vizsla—in The Clone Wars. 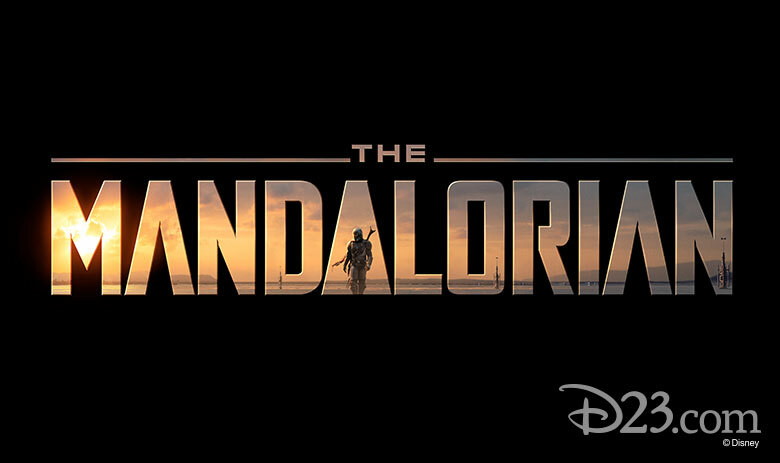 The Mandalorian occurs approximately five years after the events of Return of the Jedi and follows Pascal’s character as a sort of outlaw gunslinger in a semi-lawless post-Empire galaxy. 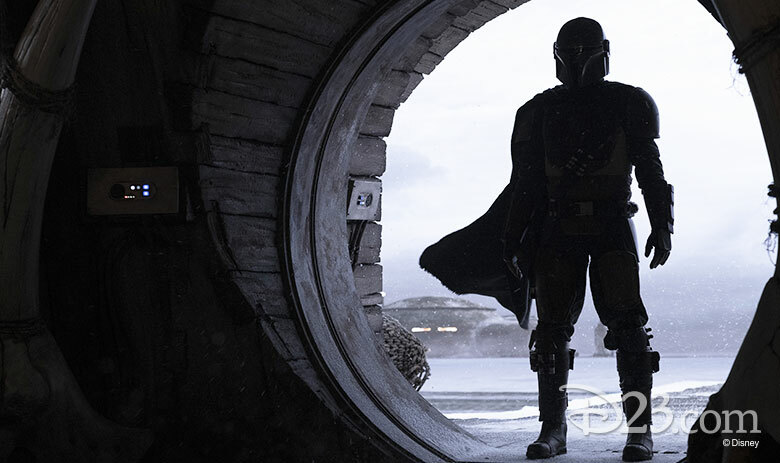 Fans will recognize his armor as similar to that of Boba Fett. It’s not the same character, but don’t worry if you don’t know all that history—everything will make sense once the new series lands in November. And speaking of landing, the Mandalorian character pilots a cool, new ship called The Razorcrest. Favreau and Filoni were nearly giddy as schoolboys as they revealed that they used an actual miniature model of the ship in the series—harking back the way the ships were filmed in the early Star Wars films. Which only makes sense, considering the reverence both share for Star Wars creator George Lucas. As a matter of fact, Lucas stopped by the set one day, a highlight for both Favreau and Filoni. Also, in some exclusive footage, fans erupted in delight at the sight of IG-88, one of the bounty hunters from The Empire Strikes Back, along with a Devaronian, one of the horned, devilish-type aliens first seen in the cantina in A New Hope. We also saw some Kowakian monkey-lizards in cages in a marketplace scene. These creatures are best known by their most famous member, Salacious Crumb, the small, screeching creature that sat on Jabba the Hutt’s lap in Return of the Jedi. 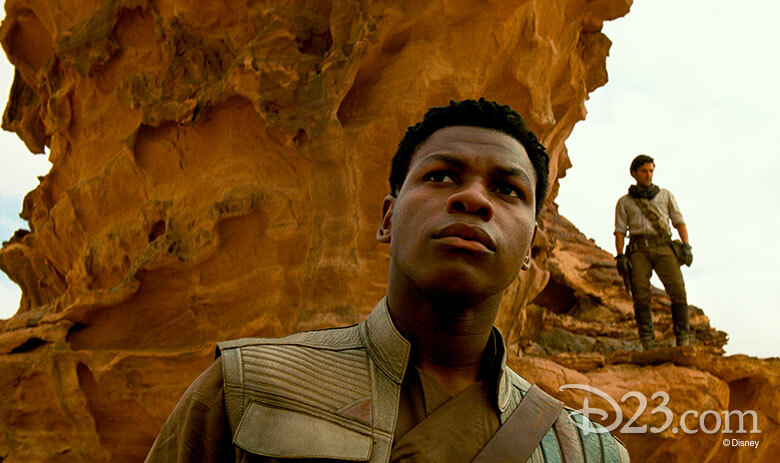 We could go on and on about the panel, but suffice it to say that two of Star War’s biggest fans—Jon Favreau and Dave Filoni—have partnered to create what is sure to be one of the most exciting projects—the very first live-action series—ever to blast out of the Star Wars universe. 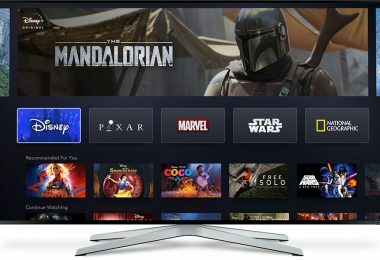 Like we said before, Disney+ can’t come soon enough! 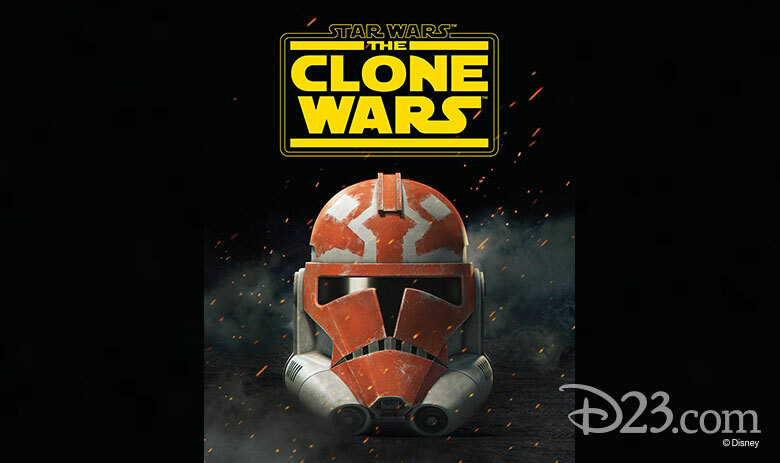 Dave Filoni came back that afternoon to preview the surprise final season of the massively popular The Clone Wars, also premiering on Disney+ later this year. The last big panel in the Celebration Stage arena on Sunday was Star Wars: The Clone Wars Sneak Peek. 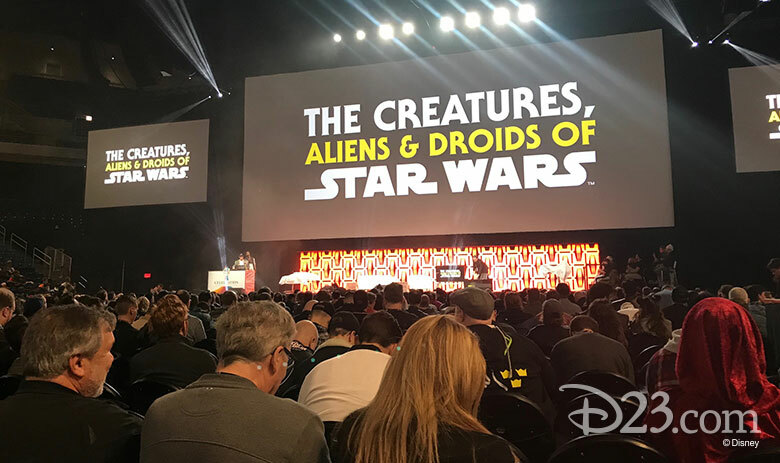 It featured Dave Filoni, supervising director, plus stars Ashley Eckstein (Ahsoka Tano), Dee Bradley Baker (Rex), Sam Witwer (Darth Maul), and more of the cast. They previewed lots of exclusive footage from the upcoming series, soon to premiere with Disney+, including one scene that nearly made series star Eckstein cry. 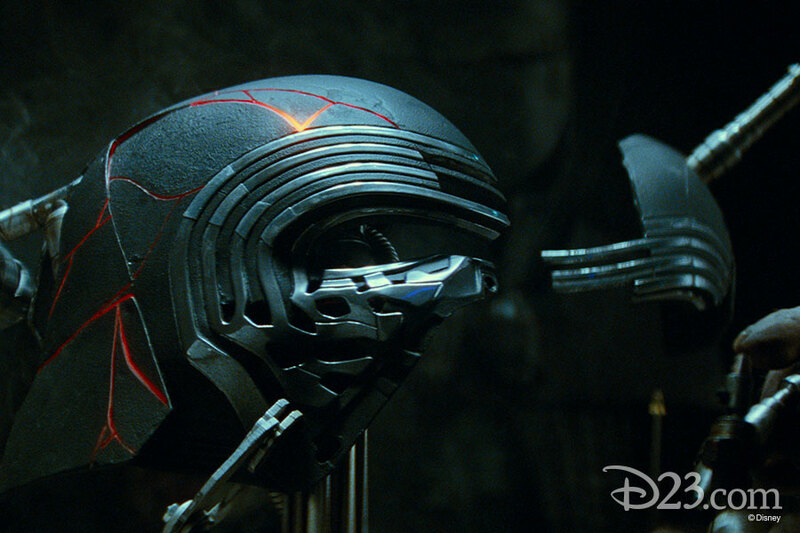 “I never thought that we’d be here, watching this scene,” she said, referring to a sequence where Rex and his clones all painted their helmets to honor Ahsoka. She and the other actors were surprised at the decision to do another season of the series—surprised, but very, very happy! 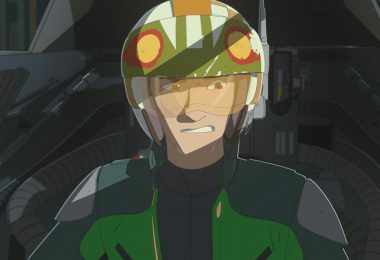 Actor Sam Witwer was stoked to finally find out about the long-gestating “The Siege of Mandalore,” a scene he described as “my favorite stuff we’ve done as the character, and Dave wrote it personally.” When he went on to describe the scene—albeit cryptically to maintain the surprise—Filoni squirmed, nervous that Witwer was coming way too close to giving away any of the secrets. It’s a scene that Filoni had imagined for the past 10 years, but never was able to bring to the small screen—until now! Witwer was also excited by the fact that Ray Park, who played Darth Maul in 1999’s The Phantom Menace, returned to lend his movements—via motion capture—to the character in The Clone Wars. Over the bridge and two floors down from the main convention floor was the Fantasy Flight Gaming Room, where players could stop by any of the tables and take part in one of the many Star Wars tabletop games, including X-Wing and Star Wars: Destiny. Up on the main floor, however, eager fans scoped out hard-to-find exclusives, such as the Rancor Monster 45 oz. mega tiki mug, along with the accompanying Luke Skywalker mini mug that fit neatly in the Rancor’s hand. 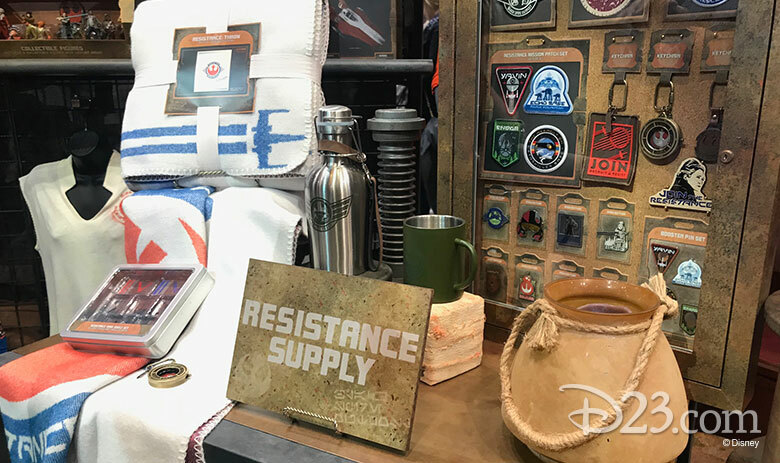 Speaking of tiki, if you were lucky, you could also pick up the Death Star tiki tumbler or even the huge Millennium Falcon Mega Mug, along with the Han and Chewie mug set. Other hot items were the Lando Calrissian Hawai‘ian shirt, and the super-kitchy Boba Fett tin lunchbox—which featured a Boba Fett design from the notorious Star Wars Holiday special. 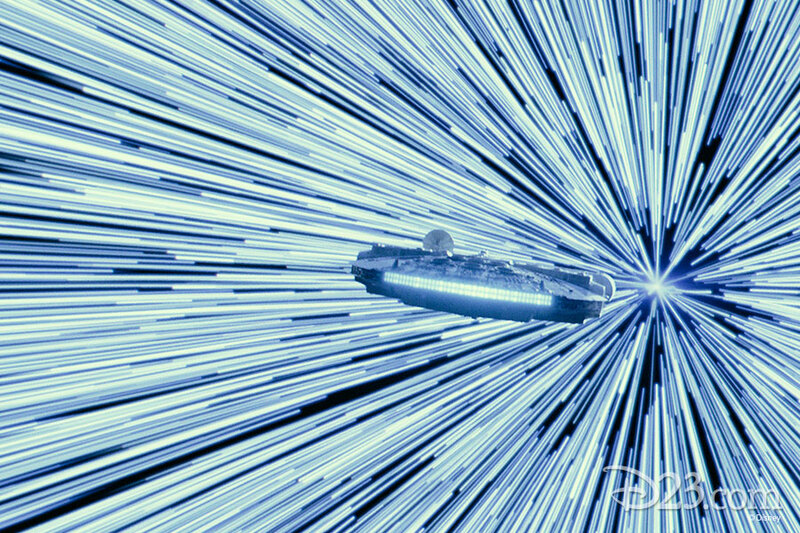 Are you ready to actually STEP INTO your own Star Wars adventure? Literally. We mean, are you ready to walk on alien soil, touch galactic machinery, and hide with the rebellion? We are—and so is actor Josh Gad (Frozen, voice of Olaf, Beauty and the Beast, Le Fou), who surprised fans by showing up to host the panel “Bringing Star Wars: Galaxy’s Edge to Life at Disney Parks” at the 2019 Star Wars Celebration, currently under way in Chicago. “Disney bought me as part of the Fox acquisition,” he joked. 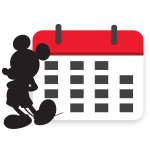 In a hilarious video shared on the big screen in Celebration Stage arena, Gad documented his attempt to get a “sneak peek” into the 14-acre mega-development, opening May 31 at Disneyland Park in Anaheim and August 29 at Disney’s Hollywood Studios at Walt Disney World Resort. 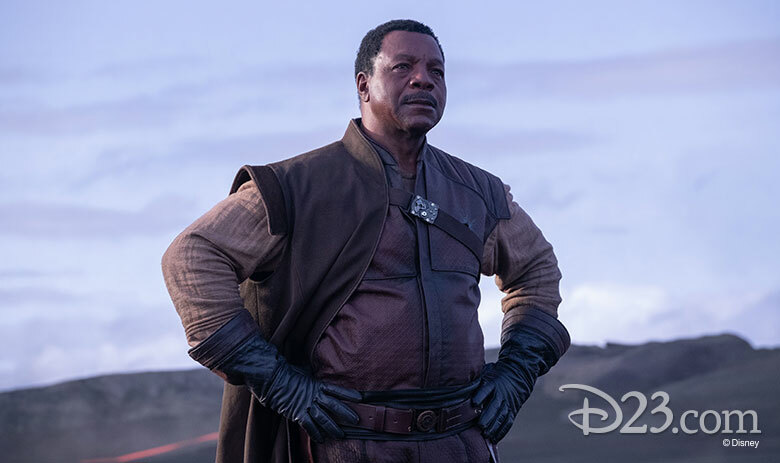 In the video, he tried every trick in the book to convince the Disney security Cast Members to let him past the construction walls and into the nearly finished Star Wars: Galaxy’s Edge world—even going so far as to promise autographs for the Cast Member’s daughter. When his attempts proved less than fruitful, he called Scott Trowbridge, Portfolio Creative Executive, Walt Disney Imagineering, to help him out. Trowbridge was more than happy to see Gad, but, alas, could not let him in—even after Gad returned a long-ago-borrowed VHS copy of Pretty Woman. Of course, Trowbridge had no memory of loaning the tape, and had to turn Gad away. The video ended with the appropriate tag: Pretty Woman is now available on DVD. 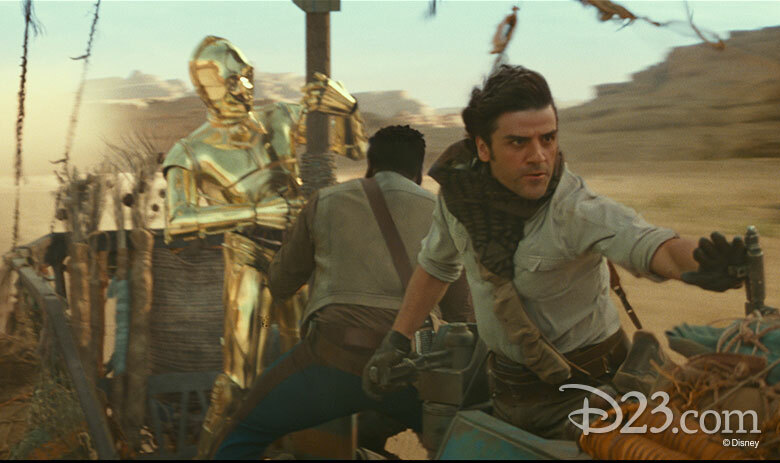 Gad was joined onstage by the high-level team from Disney and Lucasfilm responsible for the creation of Star Wars: Galaxy’s Edge. They included Chris Beatty, Margaret Kerrison, Doug Chiang, Matt Martin, Asa Kalama, and Scott Trowbridge. To kick things off, fans were treated to a very special video message from Mark Hamill himself, touting the partnership between charitable organization Force for Change and FIRST, an organization dedicated to getting kids involved with STEM learning and activities. Check it out here, and find out about the very cool sweepstakes taking place. 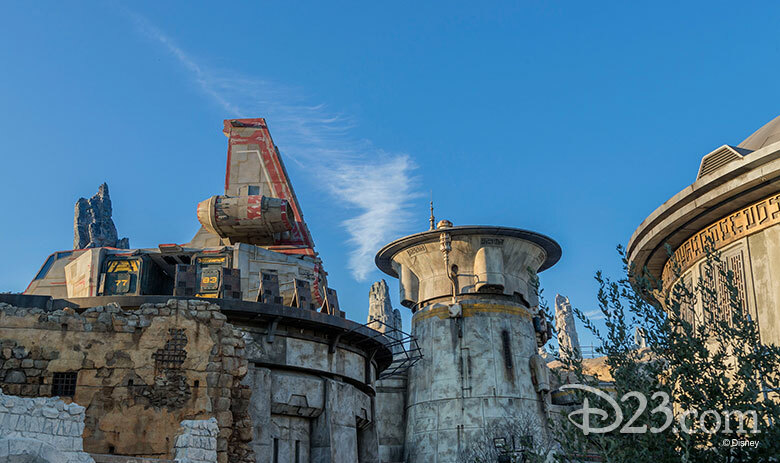 The team then showed off multiple videos, photos, and exclusive previews of Star Wars: Galaxy’s Edge, taking viewers inside the two new attractions anchoring the land: Millennium Falcon: Smugglers Run and Star Wars: Rise of the Resistance. One particular cool piece of information jumped out at us—a certain “small, green” Jedi would be having a part (still shrouded in secrecy) in the new land—Yoda! And, most exciting of all, Frank Oz—the legendary puppeteer who originally voiced Yoda—again returns as the voice of the much-revered Jedi master. We can’t wait. 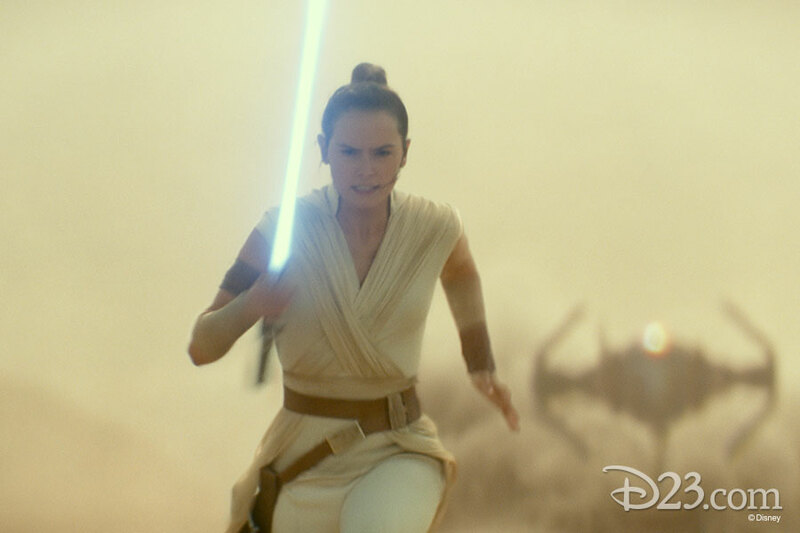 The team then talked about the very cool specialty lightsabers that guests will be able to create—an exclusive to the lands. And they treated the audience to some samples of the music that Rex—a newly minted DJ after his not-so-successful experience as a pilot in Star Tours—has created for Oga’s Cantina. And yes, Star Tours favorite R-3X (formerly known as Captain Rex) is once again voiced by actor Paul Rubens, who created some hilarious new lines for the experience. 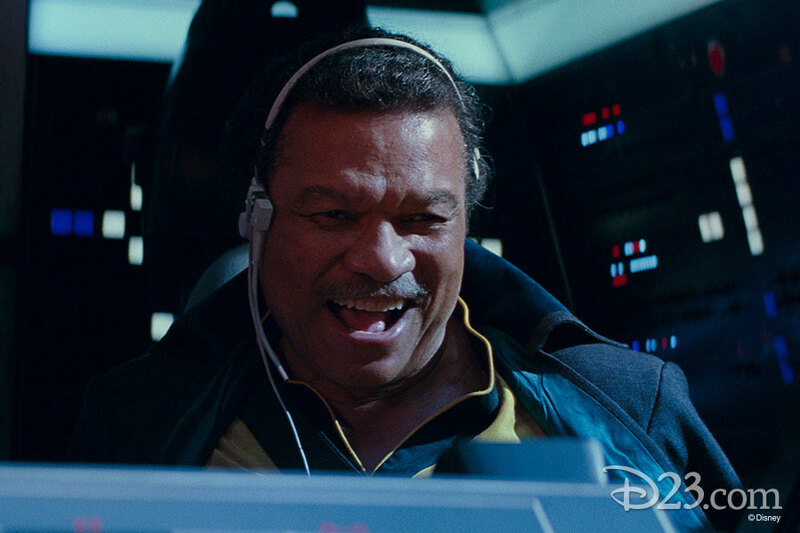 And remember that character named Nien Nunb, who appeared alongside Lando Calrissian in the co-pilot’s seat of the Millennium Falcon in Return of the Jedi back in 1983? Well, the Imagineers tracked down the original voice actor Bill Kipsang Rotich (in Africa!) 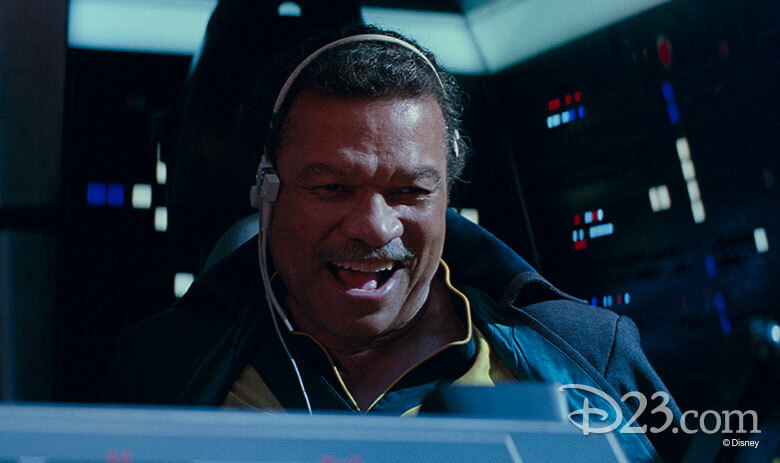 to voice again the character, who is making his return to Galaxy’s Edge. Be on the lookout for him! 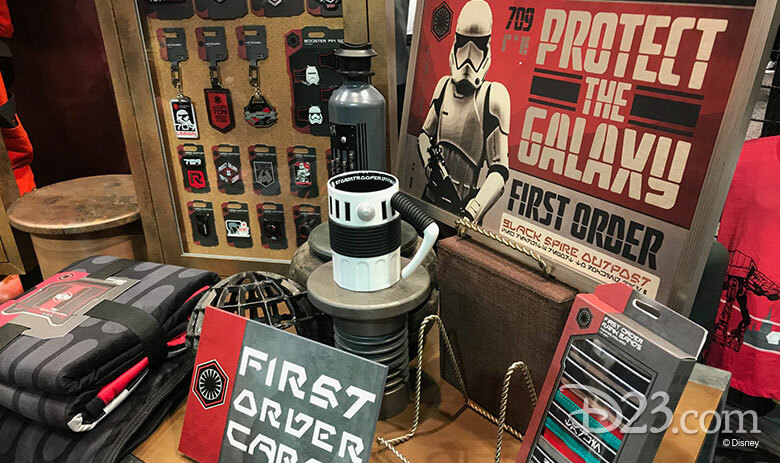 One of the “coolest” attractions at Galaxy’s Edge, though, will be the exclusive brand-new Coca-Cola drink containers, designed to perfectly match the industrial and otherworldly feel of the land. Check them out right here. Toward the end of the presentation, Gad admitted that yes, he had already been granted a tour of the soon-to-open Star Wars: Galaxy’s Edge in Anaheim. We can’t wait to go either! 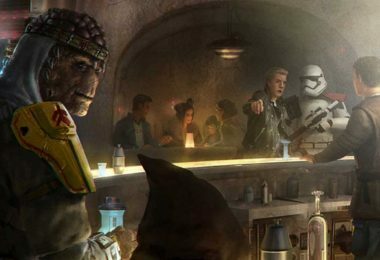 For a complete insider’s preview of Star Wars: Galaxy’s Edge, make sure to check out Disney twenty-three, where we take you deeper inside the land and reveal more about its attractions, food, and immersive experiences, available this May. 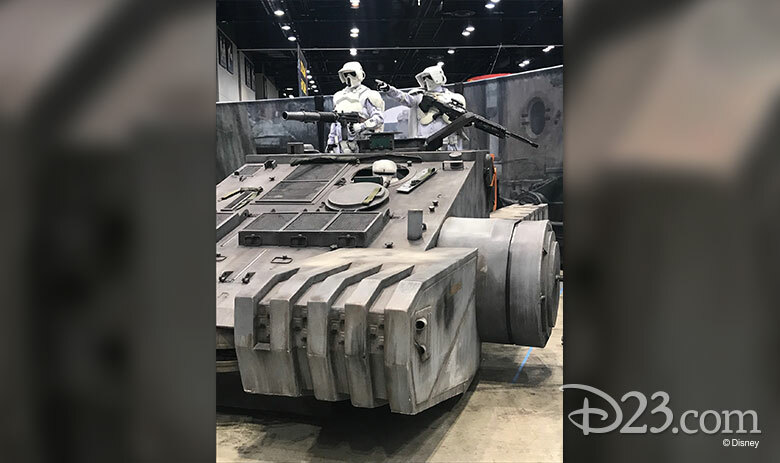 After the exhilaration of the Star Wars: Galaxy’s Edge panel presentation and a few rounds on the Convention Floor going elbow-to-elbow with Greedo and whole lot of Hans, fans were surprised by a Grand Procession that paraded across the entire convention center. It featured dozens of imperial officers and a whole squadron of stormtroopers, led by Captain Phasma, Kylo Ren, and a whole gang of sand people. They were followed by “the good guys,” about 40 or so Rebel fighters (including Mickey Mouse, strangely enough), resistance fighters, then another round of Boba Fetts—Mandalorian Warriors, the Knights of Ren, many Leias, Reys, Poes, and, of course, a Darth Vader (or two). They were taking the “Celebration” part of Star Wars Celebration to heart! And, speaking of heart, the 4 p.m. panel, called “SISTERS OF THE FORCE, A Celebration of Women and Star Wars,” had enough heart and passion to warm the coldest of Imperial Emperors (who—it seems—may no longer be dead?). Fan-favorite and friend of D23 Ashley Eckstein, the voice of Ahsoka Tano on Star Wars: The Clone Wars, Star Wars Rebels, and Star Wars Forces of Destiny, moderated a panel that included Vanessa Marshall (voice of Hera in Star Wars Rebels and Star Wars Forces of Destiny), Catherine Taber (voice of Padme in The Clone Wars), Athena Portillo (producer, Star Wars Rebels), and Suzie McGrath, (voice of Tam in Star Wars Resistance), among others. This panel, although open to everyone, was all about the women of Lucasfilm. In a galaxy with millions of planets, solar systems, and more aliens than we know how to count, it’s good to know that there’s room enough for fans of every gender, creed, background, and belief. To quote wise old Ben Kenobi, there is something that “surrounds us and penetrates us; it binds the galaxy together,”—it’s “the Force” of our love for all things Star Wars (see what we did there? Ha!). 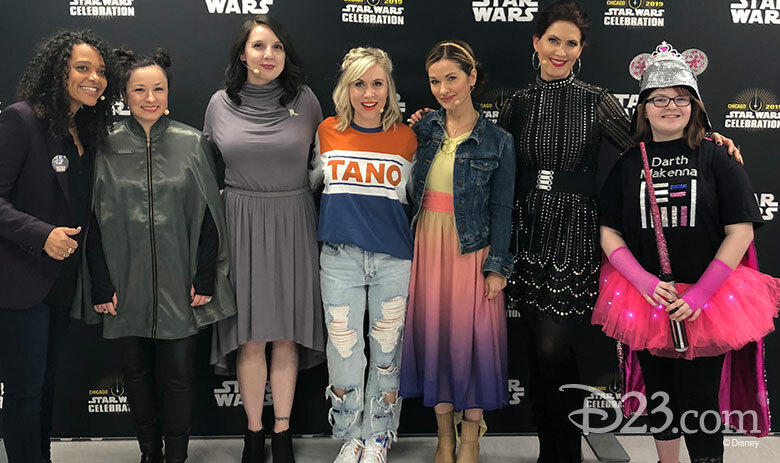 This panel celebrated those women, with each participant telling their own personal stories of succeeding in—and many times, because of—the Star Wars universe. Taber then shared a story about Jacob, a young fan she met when he was a young boy around 12, fighting cancer. 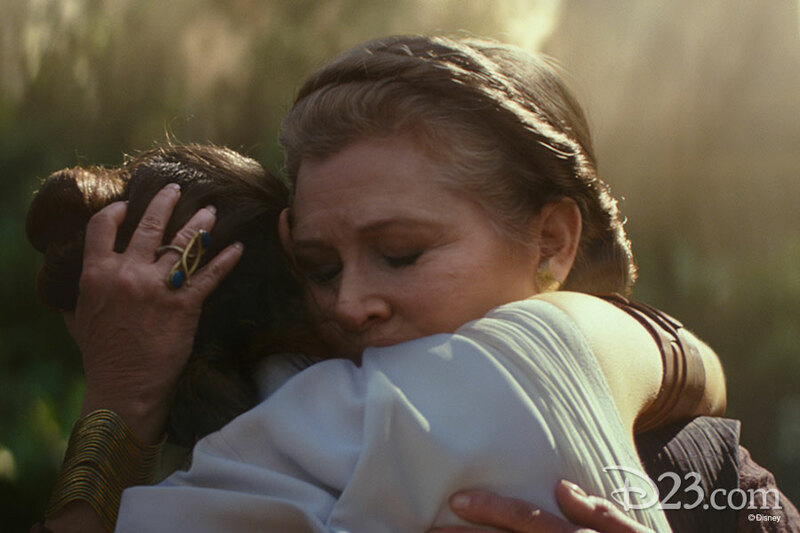 Jacob said that he admired Padme, especially the way she faced things straight on, always a fighter—it’s something that helped him while he fought cancer. Jacob is now 22 years old, his cancer in full remission, and he’s going to college and studying film. “I hope he’ll someday hire me,” Taber laughed. Executive Producer Athena Portillo started as an intern at Lucasfilm, where she met Dave Filoni, who asked her to come work on his show The Clone Wars. She didn’t have to think twice! Now, she’s in a position where she can pay it forward and hire the next generation of coordinators and interns. Last year, Portillo was part of The Hollywood Reporter Power 100, recognizing women in the entertainment industry. “The women we have in this industry are fantastic,” she said. 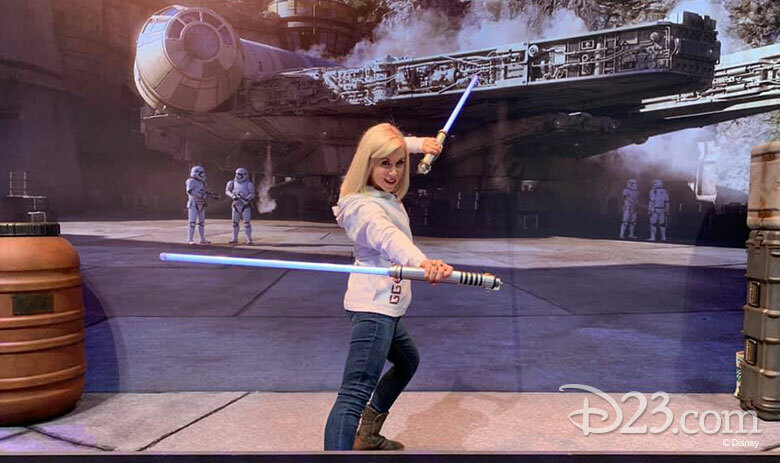 Suzie McGrath, who plays Tam in Star Wars Resistance, told the story of overcoming a severe speech impediment as a child. “I feel so honored to be here and be among such fierce human beings both on the stage and in the audience,” she said. “I am new, and in the spirit of getting to know each other, I want to share my story, which deals with overcoming a speech impediment.” She used to stutter, which caused her great amounts of trepidation and embarrassment, but through the help of a speech therapist and also her own sheer will, she overcame it and went on to be a successful voice actor. She then told a story about a small girl she met at Star Wars Weekends at Walt Disney World Resort. The little girl called herself Darth Makenna, and she dressed in the most outlandishly funny Darth Vader-inspired get-up. 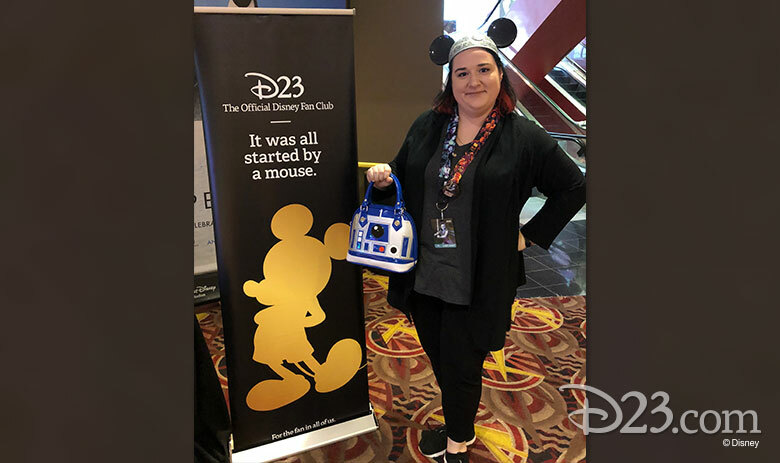 Makenna said that Ashley Eckstein inspired her to be her own person and to enjoy who she is. Marshall stayed close to this precious girl over the years, but then one day noticed that Makenna changed. “The light had gone,” said Marshall. So she contacted Makenna’s mother and found out that the little girl had been bullied in school, resulting in depression. As Marshall fought back tears, she announced to the arena audience that Darth Makenna, now a middle-schooler, was here at the panel. That’s when Marshall brought her out on stage, and the thunderous applause and nearly deafening cheers were enough to encourage the coldest of hearts. Makenna found nothing but love at that moment, and we were encouraged by her story. “I brought her here because I wanted to surround her with love and light and let her know how much she matters,” said Marshall. “We are Star Wars family, and we are never alone. Bam! Wow, what a panel! Not a dry eye, and that girl—that awesome, precious Darth Makena—will never be the same. 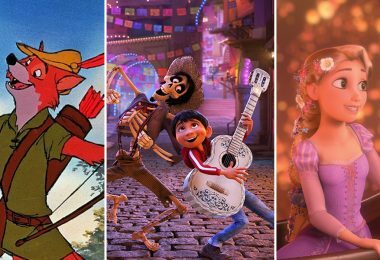 It’s that type of warmth—that type of love—that drives Ashley Eckstein to do what she does, which is to encourage fans to love and support each other. “Star Wars is for everyone,” she proclaimed, to galactic cheers from the audience. 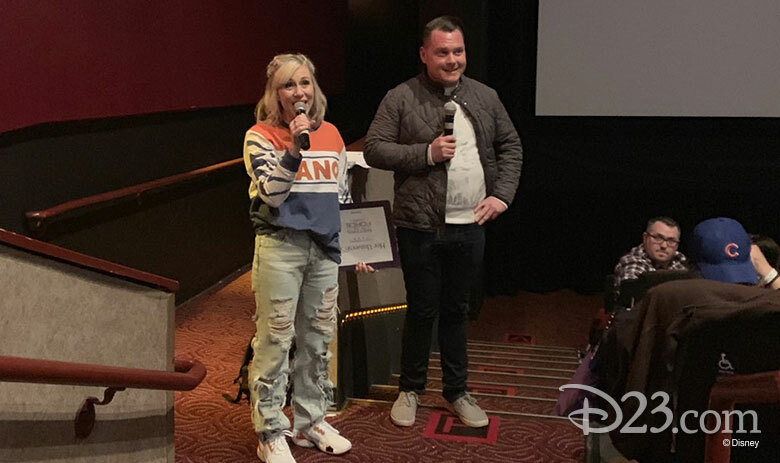 Later that night, Ashley surprised the audience at a special D23 Gold and Gold Family Member-exclusive screening of Star Wars: Return of the Jedi at Chicago’s AMC River Walk 21! 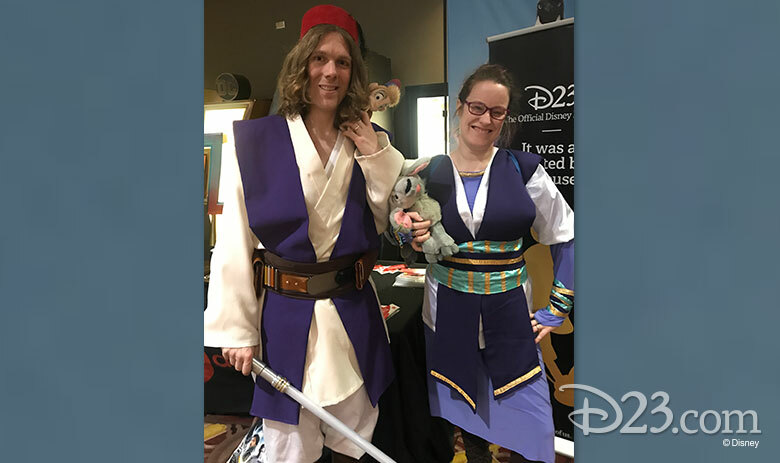 D23 members, clad in their finest Star Wars gear from across the galaxy, assembled for the sixth installment of the Skywalker saga, some seeing it on the big screen for the first time! Eckstein signed posters, which she brought from her “Sisters of the Force” panel, met fans, took photos, and asked Star Wars trivia questions. When introducing Return of the Jedi, Eckstein said that she LOVED D23 before admitting that she also loves the Ewoks. 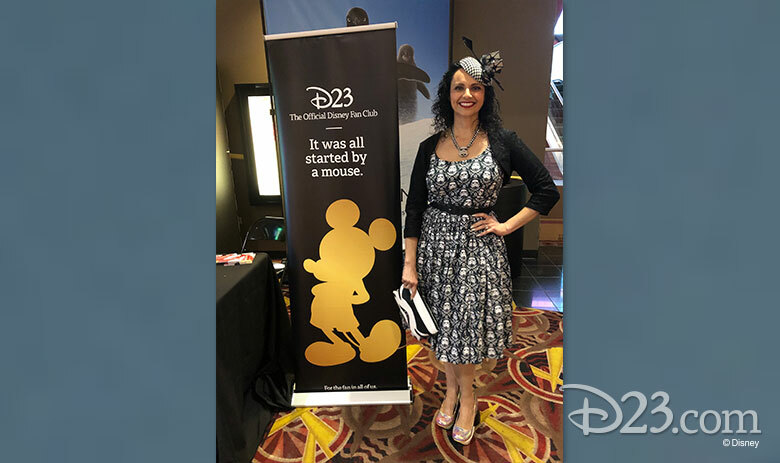 It elicited a lot of applause from like-minded D23 members, as did the film itself. We love you, too, Ashley…. Thanks for reminding us that Star Wars is for all of us. And we all matter. What a perfect ending to a perfect Saturday at Star Wars Celebration. Talk about epic! 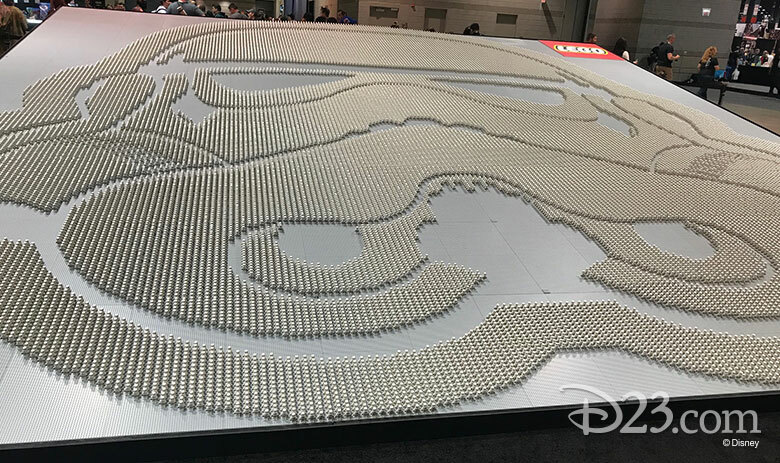 In one of the marquee events for Star Wars Celebration 2019, the Episode IX panel was—quite literally—a galactic gathering for the ages. 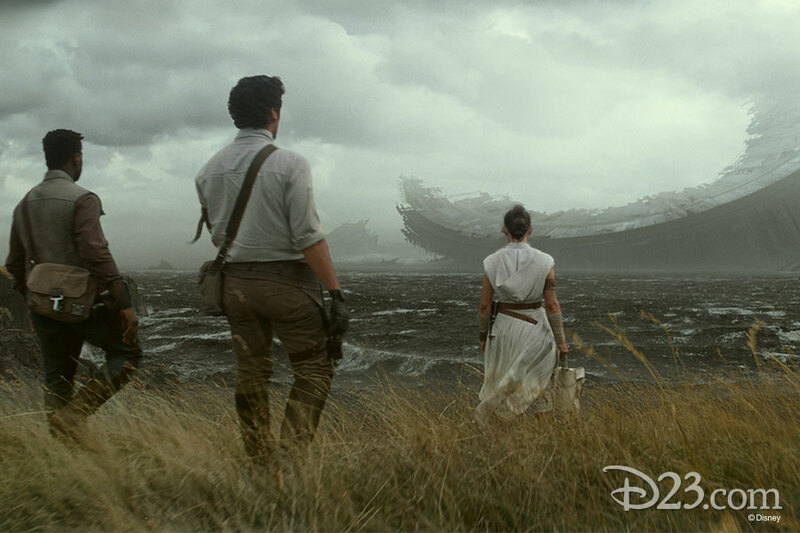 From director J.J. Abrams, Lucasfilm President Kathleen Kennedy, and the cast of the upcoming film, to that explosive new teaser trailer (how many “Wows” can we put in one sentence?) 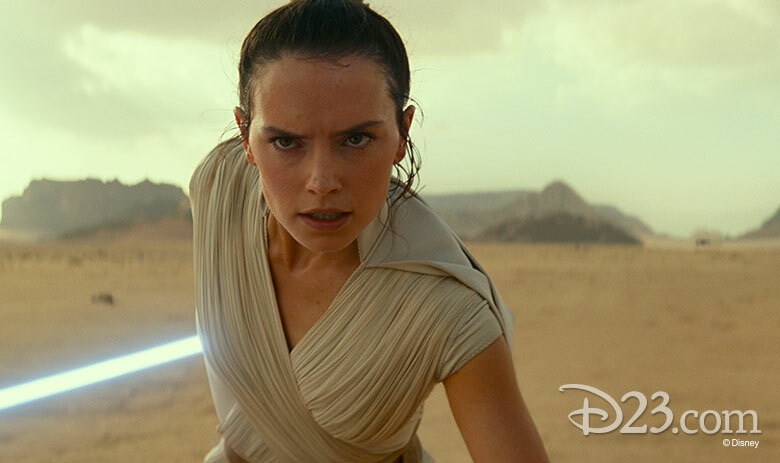 and the long-awaited announcement of the title, the Episode IX panel revved up the Star Wars excitement to a crescendo as we head into the countdown to the premiere of the final Skywalker saga film. And to borrow a line from Han Solo as he smuggled Ben Kenobi and Luke Skywalker out of Mos Eisley back in the 1977 original A New Hope: “Strap yourself in!” Because the panel—and that last, sinister laugh of the trailer!—was truly stunning. Joining Abrams and Kennedy onstage were cast members Anthony Daniels (C-3PO), Daisy Ridley (Rey), Oscar Isaac (Poe), John Boyega (Finn), Kelly Marie Tran (Rose Tico), Joonas Suotamo (Chewbacca), newcomer Naomi Ackie (Jannah), and returning from the original trilogy Billy Dee Williams (Lando Calrissian). 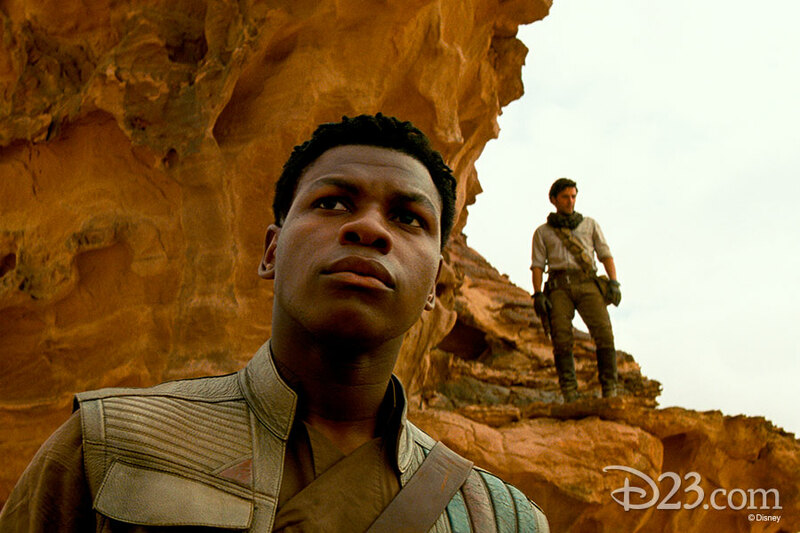 First, the title: Star Wars: The Rise of Skywalker. What does that mean? After the events of the previous film, Star Wars: The Last Jedi, this title could mean SO MANY things. But as the lights came up after that epic teaser trailer, the roar of the thousands of fans in the arena (not to mention the collective gasp of fans the world over) signaled that this title is the perfect way to describe the final film in the story of the Skywalker family. 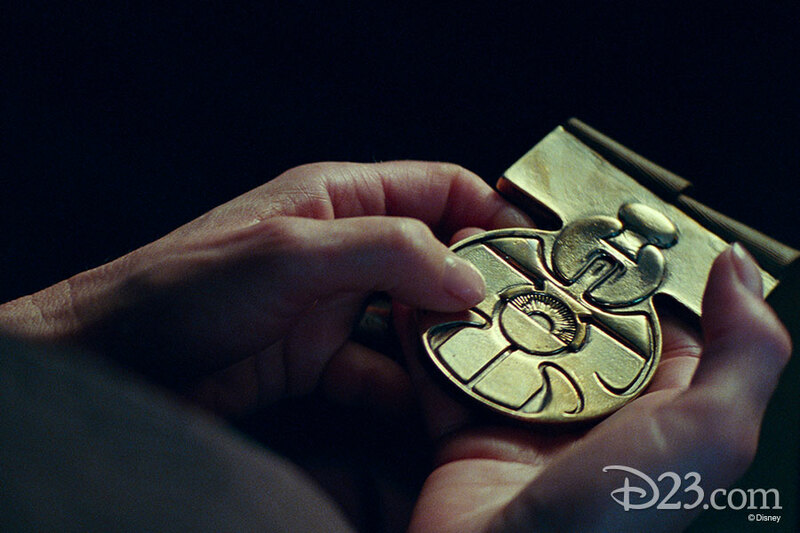 We can hear Ben Kenobi now: “It was if a million voices suddenly cried out… ” in excitement! Of course, it didn’t hurt that Ian McDiarmid, who played the evil Emperor in previous films and whose throaty laugh is heard at the end of the teaser (big surprise! ), was standing on the stage as the lights came up. As the thunderous applause quieted, he then said in his sinister tone: “Roll it again,” to which the teaser played a second time. 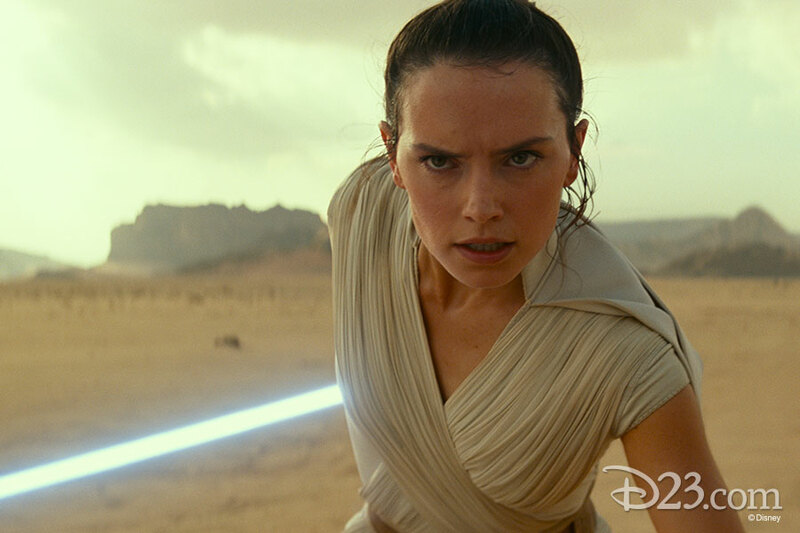 “We’ve passed on all we know,” said the voice of Luke Skywalker as the trailer opened on Daisy Ridley’s Rey, standing in a vast sand plain with her lightsaber. “A thousand generations live in you now.” And so begins the last chapter. Warming the hearts of everyone who heard him, C-3PO actor Anthony Daniels—who has now appeared in all nine films of the Skywalker saga—described his alter ego as his best friend. “I would genuinely want a best friend who cared for me as much as Threepio does,” he said. 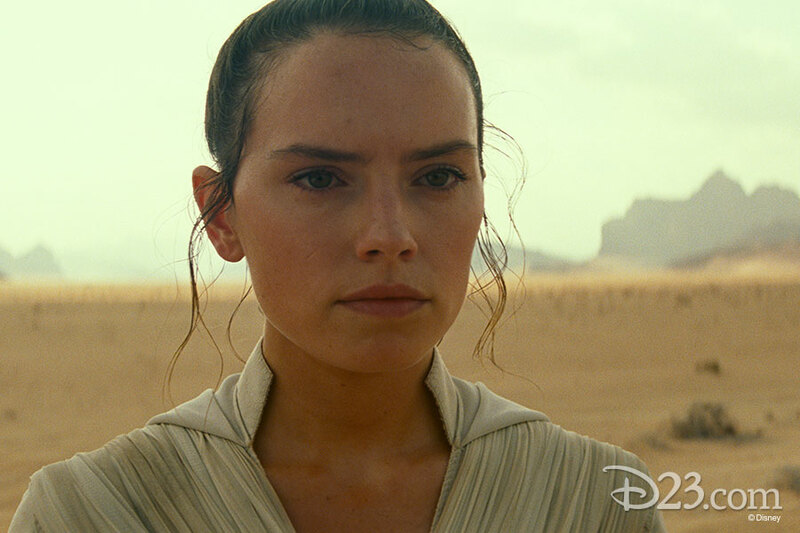 As the crowd spilled out of the Episode IX panel (or, should we now call it the Star Wars: The Rise of Skywalker panel? 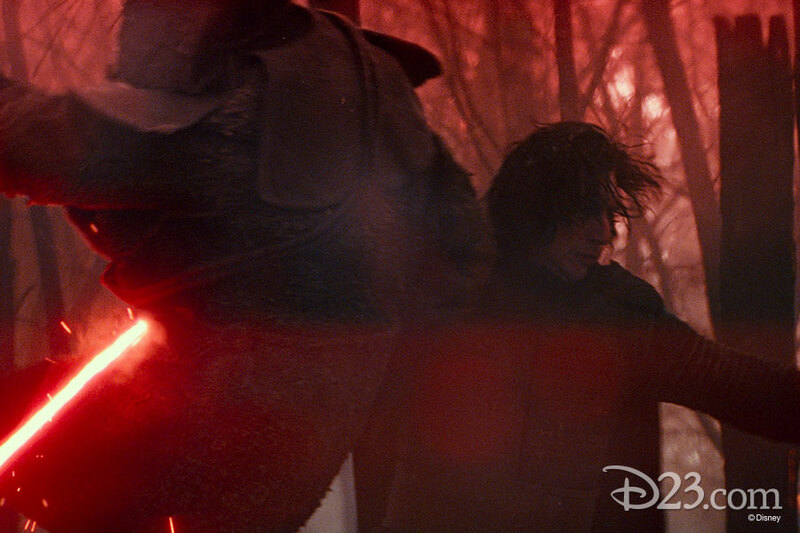 ), energized by an incredible trailer and captivating presentations by J.J. Abrams, Kathleen Kennedy, and the cast of the upcoming film, the huge, galactically transformed McCormick Place Convention Center—the largest in North America—welcomed them into the otherworldliness of Star Wars Celebration 2019, the largest gathering of Star Wars fans on the planet! With more space aliens than 15 Mos Eisley Cantinas, and more Jedi than we’ve seen since way before Order 66, Star Wars Celebration is the stuff of dreams—especially if those dreams are laden with full-sized TIE fighters, droid racing, and the largest brigade of Lego stormtrooper minifigures ever to gather in one place. One of those dream-makers is Neal Scanlan, the Lucasfilm special effects supervisor responsible for many of the droid and creature designs from the Star Wars films. He was the special guest at a panel called “The Creatures, Droids & Aliens of Star Wars,” hosted by Star Wars actor Warwick Davis. 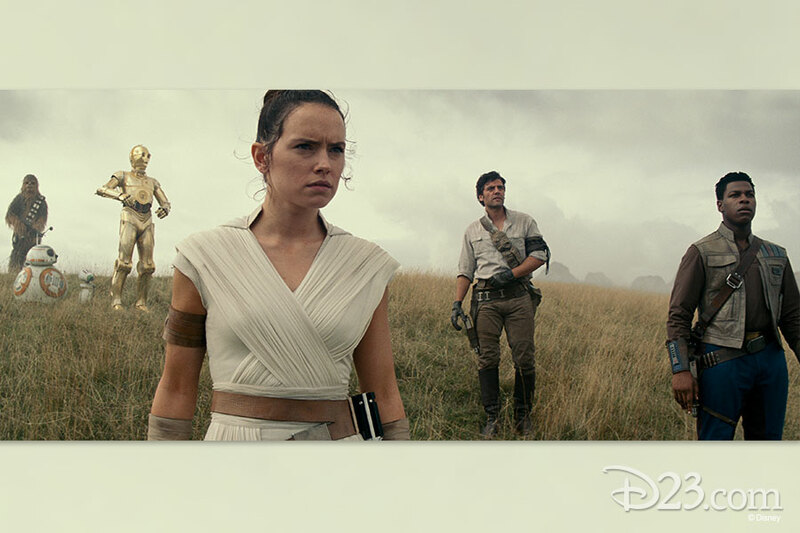 Scanlan walked through the process of melding practical and digital effects together to create some of the most beloved characters in the Star Wars films, including Yoda, Chewie, and the six-eyed, poker-playing alien in Solo: A Star Wars Story. 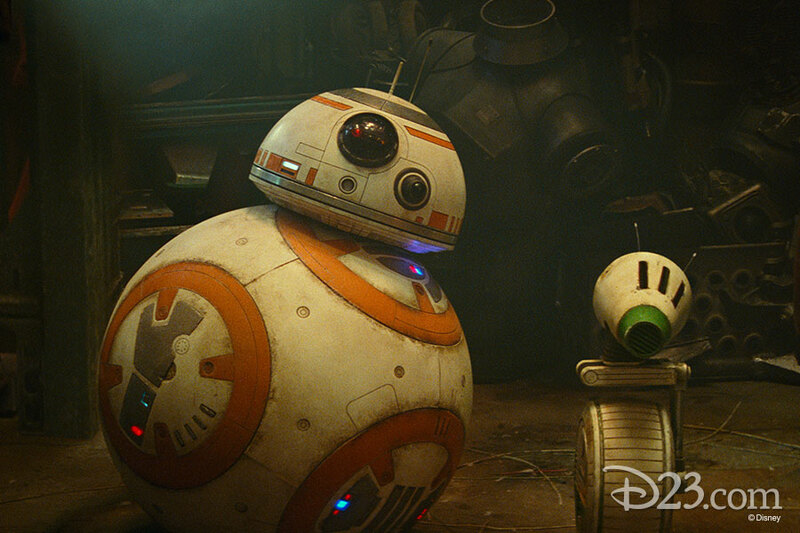 He was even joined onstage by none other than BB-8, one of his most favorite creations. 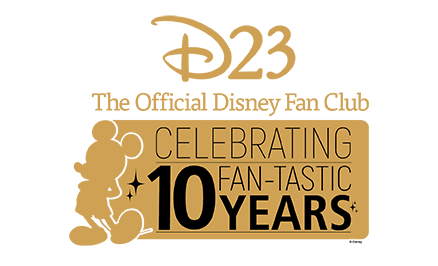 The heart of Celebration is, of course, the main convention floor, jam-packed with merchandise vendors, exclusive collectibles, droid builders, and the Star Wars Show Live! Stage, a showcase where celebrity guests and others associated with the films are interviewed in front of the convention floor guests. 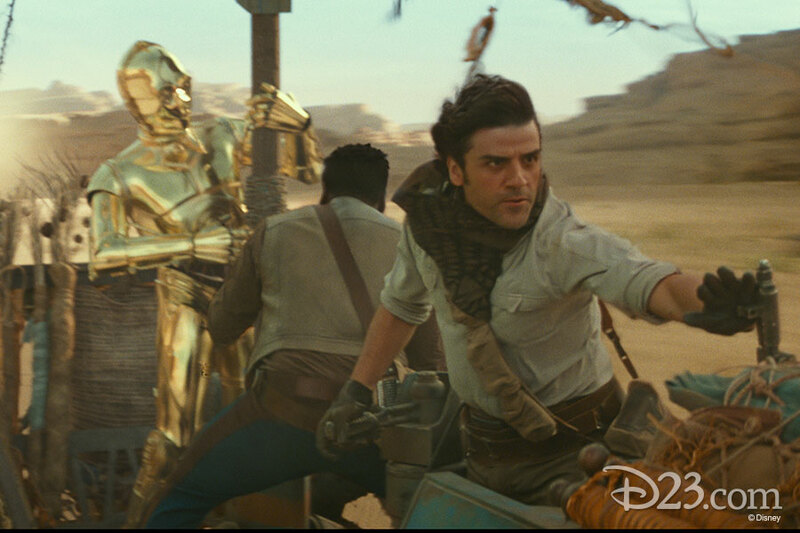 For example, just a few moments ago, Oscar Isaac, who plays Poe, and Naomi Ackie, who plays the new character Jannah, thrilled the crowd by answering questions and then firing T-shirts into the crowd with a T-shirt cannon. “Thanks, babe,” she answered back to him. “I did have a little private cry, just in the middle of the day, just to deal with the pressure. But it’s good to cry!” Isaac agreed, pointing out that thousands of fans cried that morning after seeing the new Star Wars: The Rise of Skywalker teaser. On another part of the convention floor, there is the peculiar site of mouse droid races. Yes, mouse droid races. In case you’re not familiar with what a mouse droid is, it’s a small, box-shaped droid that scoots along the floor. You’ll remember that Chewie—while he was hand-cuffed by Han and Luke en route to find Princess Leia in A New Hope—howled at one inside the Death Star, and it went zooming off in fright. 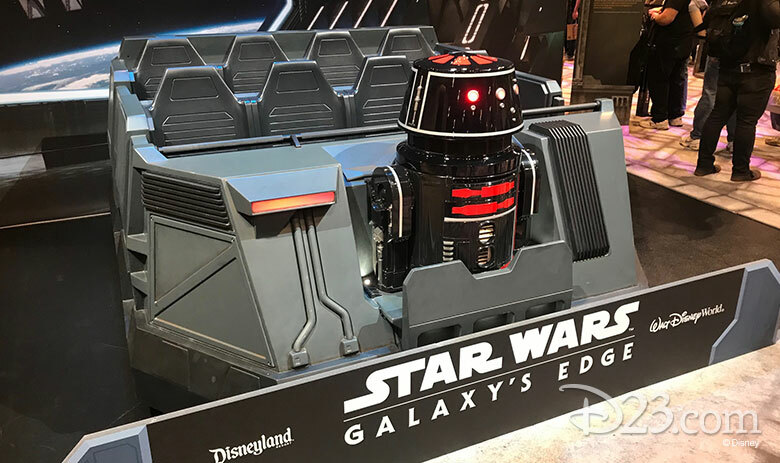 Anyway, there’s a sizable circle-8 track in one corner of the convention floor where fans can commandeer a mouse droid, via hand-held remote control devices, and race it against the other six or seven mouse droids. As one might expect, there are plenty of crashes. One of the most noticeable and foreboding fixtures on the floor, though, are the imposing stone spires—the Black Spires!—which tower over a giant-sized preview center for Star Wars: Galaxy’s Edge. 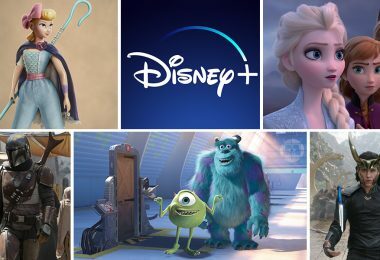 This installation, from Walt Disney Parks & Resorts, allows guests to get an up-close-and-personal look at some of the exciting attractions and merchandise that will be making their debuts later this summer in both California and Florida. 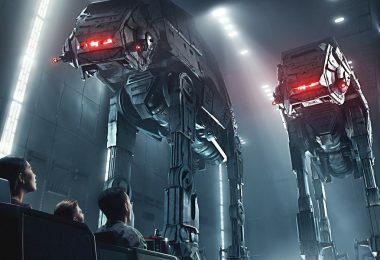 Guests are encouraged to get their photos taken in one of the “transport vehicles” that will be used in the Star Wars: Rise of the Resistance attraction, and also check out the helmets, shirts, and collectibles that will be on sale once Star Wars: Galaxy’s Edge opens. Beyond that, there’s so much more… cosplay, collectibles, and even a tattoo pavilion. Yes, you read that right, a tattoo pavilion, with multiple booths available for the die-hard fans to get Star Wars-themed tattoos. One daring soul showed off his newly etched Rebel insignia (complete with redness around the artwork). A true Star Wars fan, indeed. But he’s not out of place. There are thousands more just like him here, all ready to fulfill their Star Wars dreams. And this is the place to do it.